Diet pills are everywhere. While people understand the importance of healthy eating and exercising regularly as the potential solutions to weight problems, they also fail to resist the appeal of weight loss products, which typically promise to make losing weight easier and faster. But what can these pills really do to the body? 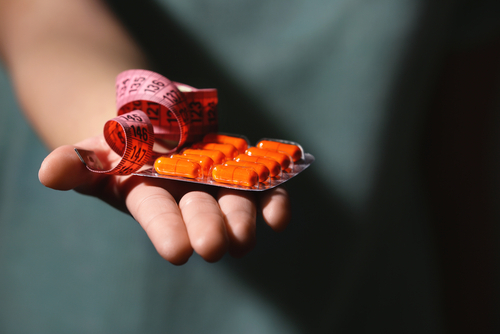 Weight loss supplements aren’t regulated by the Food and Drug Administration. Hence, they don’t need FDA’s approval before being released and distributed in the market. While there surely are supplements from reputable companies that have the potential to help with weight loss, there are also many others that can’t help at all. To make it worse, many of these products could also contain harmful components without the customers knowing since they’re not controlled by any governing body. Diet pills typically have stimulants as their active ingredients. These stimulants have since been determined to augment the risk for heart attack and stroke. Frequently these stimulants can also be drugs that have been prohibited from the market. But thanks to the unfortunate directive of dietary products, these banned drugs find a way to be involved in the formulation of these weight loss pills. These pills for losing weight frequently consist of amphetamines, anti-anxiety drugs, and antidepressants. From the looks of it these drugs are not only detrimental, but also addictive, which means twice the trouble. There are some weight loss pills that have fat blockers that reduce the assimilation of nutrients, causing stomach discomfort. Other reported adverse effects associated with the use of diet pills are headaches, mood swings, and constipation. Most of the time you’ll see diet pills promising you the world. Since they’re not regulated by the FDA, supplement companies can make any claims they want to attract people’s attention. 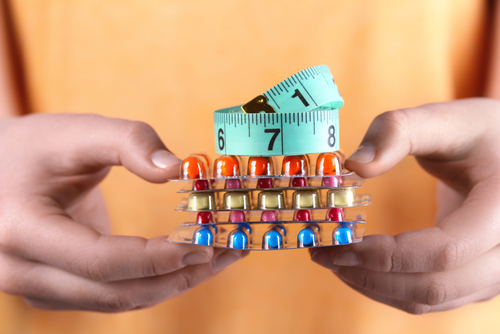 That’s why it’s important to be cautious if you’re considering of taking a particular brand of weight loss supplement. Claims are just claims, especially in the world of diet pills. In fact, Department of Health and Human Services released a report affirming that 20% of 127 supplements (including weight loss pills) made illegitimate assertions on their product labels stating that the supplement treated an illness. A lot of weight loss pills are just a mixture of caffeine and other diuretics. While it may seem that you’ve lost weight, it’s just actually water loss due to the diuretics in the supplements. Essentially, the water weight returns while the fat remains. Plus, excessive loss of water associated with weight loss products can cause severe dehydration. At the end of the day, no diet pills can guarantee long-term weight loss. Only proper nutrition and regular exercise can. Taking a weight loss supplement to help you lose fat doesn’t do any good in terms of training yourself to be healthier in your daily options. If you think that there are diet pills to help you lose weight via easier and faster means, you won’t be motivated to change your unhealthy ways. You cannot take diet pills forever. At some point in your life you need to be more careful with your body. Only then will you have the chance to experience weight loss permanently.